Deliciously Savvy received products and/or compensation in exchange for an honest and unbiased review and all opinions are 100% my own. Regardless, I only review products that I am truly interested in for myself and my family and of course for sharing those reviews with my savvy readers. Thanks for stopping by and enjoy! With Easter around the corner, I am always looking for fun things to add to my kids Easter Baskets so that they are not just full of candy but rather a mix of candy and fun. 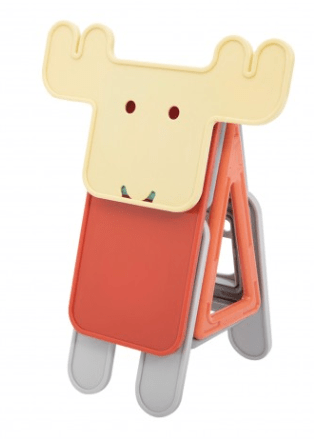 This is why I was so excited to try out the new Magformers 60 Piece Animal Jumble Set geared for ages 3+. This set is not only adorable but will provide the little ones with hours upon hours of fun playtime as Magformers never get boring. The creations that you can make with Magformer Building Sets are endless and are limited only to your little ones imagination which is why I am loving the Magformers New Animal Jumble Set. 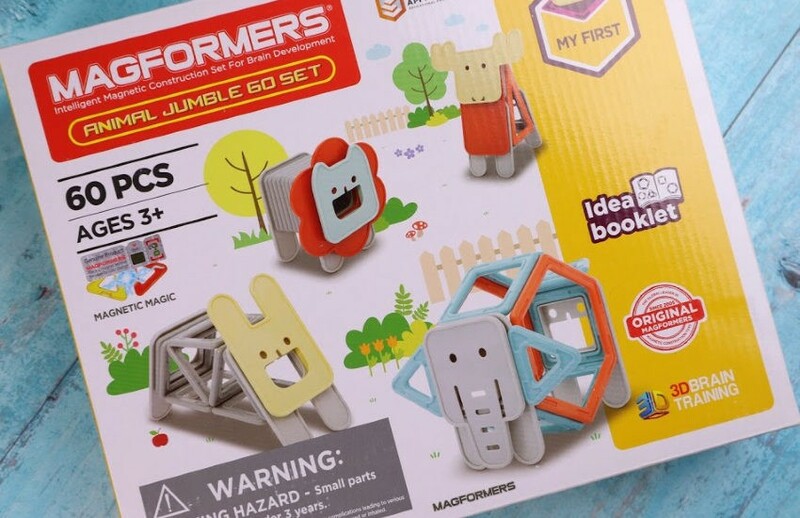 Magformers new 60 piece Animal Jumble set is the perfect introductory set for imaginative creators. 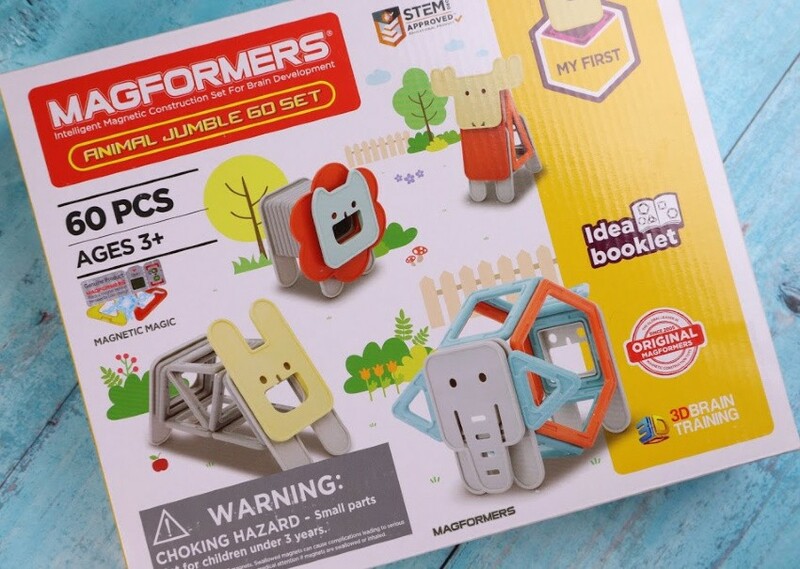 Children will enjoy using Magformers pieces to neatly stack or they can use the clip on faces to make different jungle animals. Young creators can also use the geometric pieces to build the different animals. Each geometric shape of the different Magformers pieces contain magnets that never reject, so you will always hear them click together when creating your shapes. 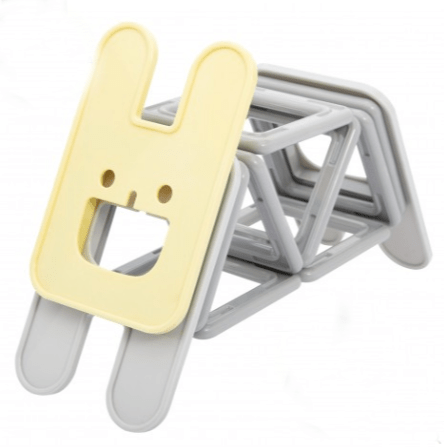 Plus when playtime is over they are super easy to clean up as the magnetic power of Magformers makes it super easy to stack and store. 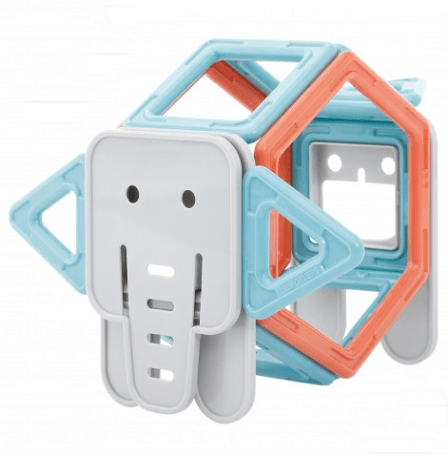 So what do you think of the Magformers New 60 Piece Animal Jumble Set? Is it not the perfect set for your little ones to start creating, playing and learning? They have sets for all ages and all sets are perfect for adding with additional Magformers sets to create endless amounts of playtime fun. They make the perfect gift for Easter or anytime so check them out online and visit them on social media as well. My boys all love building with Magformers. 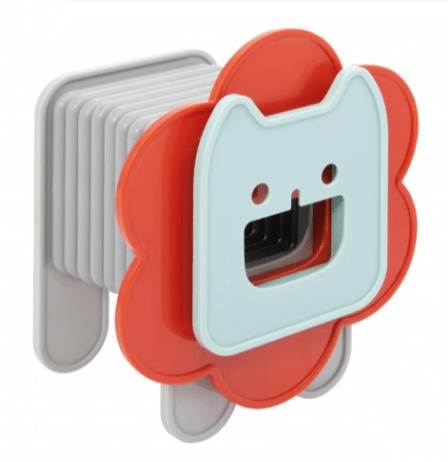 These animal ones are super adorable!